Comprehensive review of PCA Skin Intensive Clarity Treatment .5% Pure Retinol Night. See how this retinol cream compares against other wrinkle creams! PCA Skin Intensive Clarity Treatment is a better-than-average retinol serum. I saw some nice changes in the texture of my skin while using this product. My skin appeared to be much more hydrated, my dead/dry skin disappeared and my face had a nice glow about it. I love how quickly this serum dries and anytime I can use a product and experience no side effects, I am happy. The 3 main reasons why this didn’t score slightly higher is the smell, price tag and the overall effect on lines and wrinkles. I disliked the smell of this product. It was very unpleasant to apply and it stayed with you for awhile. In addition, the price tag of $106.00 for a little over an ounce is a little crazy! I really have to LOVE a product to want to continuously purchase something with such a high price tag! With that being said, although I did like the changes it made to my skin, it didn’t tackle my fine lines and wrinkles, and for that price point it should! 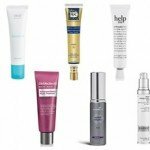 0.5% is a small amount of retinol in comparison to most products out there. 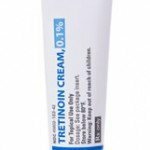 As such, this is a great product for someone who is new to using retinol. However for someone who’s looking for a more intense retinol serum or has used others in the past I would recommend something stronger! PCA Skin Intensive Clarity Treatment is a lotion-like serum. When you first pump a drop out it, looks like a lotion because it has some body to it. However it feels very lightweight. It also has a light yellow pigment to it. Applying Intensive Clarity Treatment is really simple. After you cleanse your skin at night, you apply a pea-sized drop to your face. Per the instructions on the bottle, you start using this product only twice a week and then gradually increase to every other night. This serum agreed well with my skin so I used it every other night right away. 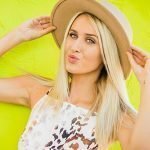 The entire application process takes no more than 15 seconds. PCA Skin Intensive Clarity Treatment dries really quickly. As soon as it hits your skin it begins to absorb, and then within 20 seconds it’s dry! There’s never that sticky residue on your face, and soon you forget that you even have anything on. This was one of my favorite things about it! The smell of this one is terrible and one of the biggest drawbacks for me. It has a very dirty and bitter order to it. It unfortunately doesn’t dissipate once you apply it either. The smell lingers for quite some time before it fades. I enjoy using products that have a fun aroma to them, especially before bed, so this was a flaw for sure! After waking up the next morning after using for the first time, I actually liked what I saw! My skin looked smooth and felt great. Longer term I did notice a few nice changes to my skin after using this. My skin was kind of in bad shape when I started this product. I had a lot of dry spots on the face, my wrinkles were quite noticeable and I was breaking out. PCA Skin Intensive Clarity Treatment helped clear my skin up. I noticed that my dry spots disappeared and I gained a much healthier glow to my skin. It was smooth and seemed much more vibrant! Now, my fine lines did seem a little less noticeable however not anywhere near what I was expecting with a retinol product that comes with such a hefty price tag. I didn’t experience any side effects from this serum. It’s hard to quantify exactly, but my skin just felt and looked healthier if that makes sense, more so then it really helping with my lines and wrinkles. 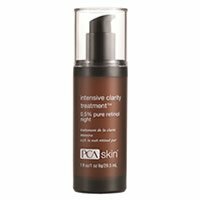 PCA Skin Intensive Clarity Treatment contains pure retinol, which is a good thing. I’m not as big a fan of retinol derivatives. However, in comparison to some of the super powerful retinol products out there, the 0.5% concentration is very mild. However, that might make it a good choice for those who have sensitive skin or are new to retinol products. It also contains Capric/Caprylic Triglyceride. This is form of coconut oil and is a very hydrating ingredient. It’s used for calming skin. I didn’t experience any of the typical redress or dryness that can occur when using retinol products and this ingredient helps to explain why! A 1.1 ounce tube of PCA Skin Intensive Clarity Treatment costs a very expensive $106.00. This price point is obviously on the higher end of the spectrum than other retinol products out there. PCA skin offers a 60-day satisfaction guarantee, which is great. You do have to call them to get a return authorization number, which can prove to be time consuming, but at least they offer a longer-than-most guarantee! To buy PCA Skin Intensive Clarity Treatment, click here. Texture/Feel It’s very lightweight, and has a light yellow pigment to it. Application After you cleanse your skin at night, you apply a pea-sized drop to your face. Drying Time As soon as it hits your skin it begins to absorb, and then within 20 seconds it’s dry! Smell It has a very dirty and bitter order to it. Short Term Results My skin looked smooth and felt great. Long Term Results I noticed that my dry spots disappeared and I gained a much healthier glow to my skin. Guarantee Yes, PCA skin offers a 60-day satisfaction guarantee. Price It’s $106 for 1.1 oz… very expensive.